The Sensus Smart Guitar is the worlds truly smart guitar. Oh and what a smart guitar! The creators of the Sensus Smart Guitar are claiming that the instrument is the Worlds first truly smart guitar! A bold claim indeed from a new start-up. However, having just watched the video I have to admit to being completely blown away. The potential of the Sensus Smart Guitar is limited only by the creativity of the musician. Why the excitement about a new and as yet unreleased guitar? 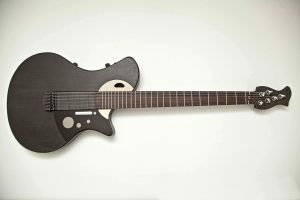 The Sensus Smart Guitar is the brainchild of Michele Benincaso, an Italian guitar luthier from the renowned Antonio Stradivari Luthiery’ School. Having produced guitars for over 10 years Benincaso came to the conclusion that, although the world of music technology was evolving at a significant pace, the instruments that the music was played on was not. He decided that he would utilize state of the art technology and design techniques to craft an instrument that would satisfy the needs of contemporary guitarists. The Sensus Smart Guitar is the culmination of that creative journey and what an instrument he has created. The Sensus Smart Guitar fuses traditional guitar making with state of the art technology. The guitar itself is an acoustic guitar constructed from the same woods, spruce, willow and maple, that Stradivari violins are constructed from. Like any acoustic guitar the Sensus Smart Guitar relies on the vibrations of the strings resonating from the body of the guitar to produce the sound that you hear. But that is where tradition stops and technology takes over. With the built in digital technology you can add infinite modulations and effects to your music without the need for amplifiers or accessories. Words can’t really do justice to the instrument. If you check out the video below you can experience the truly amazing possibility of the Sensus Smart Guitar. In the video you will see the real expressive potential of the Sensus, allowing guitar players to use infinite modulations and effects, switching between electro-acoustic and electronic sounds in real time and in a natural way without the help of any accessory or computer. The music in the video is produced and performed live by Valerio Fuiano, professional guitar player and music producer. Sadly you can’t currently buy a Sensus but hopefully it won’t be long before you can. I for one will be in the queue for the Sensus Smart Guitar. To find out more go to the Mind Music Labs site.